Iv literally spent 10+ hrs searching the net for this kit. Iv had a few leads, first chap in belgium from a touring car team that use Altezza's isn't getting back to me.. The second guy, Curley Carbon used to have the moulds but sold them a while back and doesnt know where they went.. If anyone knows of a kit, pieces of a kit, or someone with the moulds to make the kit, please please let me know..
Hi there and that's a great look ! That car sold for an absolute steel as it is rare as fook. I don't understand why the kits not available as it looks ace. I think it's up there with the neo for best body kit for a Tez. That's good to know, I'll check drift Ireland out.. Iv spoken to the last owner of the red one, he doesn't know anything about it or where it came from. Give twigglet on here a pm, I'm sure he said he knows someone that has got the moulds for this kit. He said about it in a comment on the for sale thread on that car on dw. ian curley was the bloke who i knew, he has now sold them to someone and lost track of where they are. tomo wrote: Give twigglet on here a pm, I'm sure he said he knows someone that has got the moulds for this kit. He said about it in a comment on the for sale thread on that car on dw. twiglett-RS200 wrote: ian curley was the bloke who i knew, he has now sold them to someone and lost track of where they are. 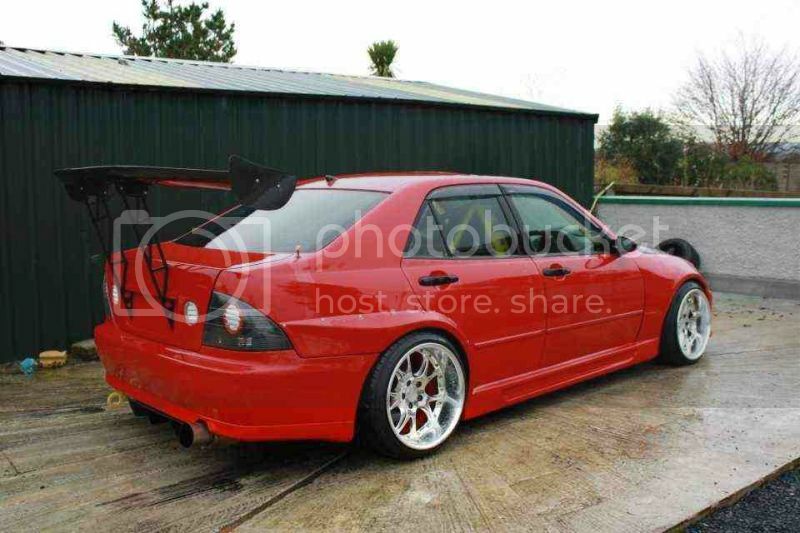 I spoke to Ian Curley, he sold the kit along with a pair of badass touring car Altezza's to a company called Touring Car Spare's about 4-5 yrs ago, iv spoken to a guy there called tony who's been very helpful. He sold the cars and kit to a guy called Michel in Belgium, who coincidently I sold a gearbox to about a year ago for one of those touring car Altezza's. He has since sold the cars and kit moulds on again, but today he contacted the guy that bought them from him and passed on my details, so now I'm eagilly awaiting contact from this dude that hopefully still has them..
Tony at Touring Car Spares put me onto someone else too that has the front bumper mould for the kit, ABSMotorsport.co.uk ... Tony has contacted them as he belives there was always 2 sets of moulds, and ABS motorsport may know the where abouts of the second set seeing as they have the front bumper mould. Anyway, I'm getting close, I think.. I'm looking to buy the moulds if possible, so would anyone be interested in kits if I get them? Also, Touring Car Spares have a X-Trac Gearbox for an Altezza if anyone's interested..
im interested in a full wide manspec kit for my altezza when i pick it up again next month. i will have plenty of free cash so i might as well put it to use. 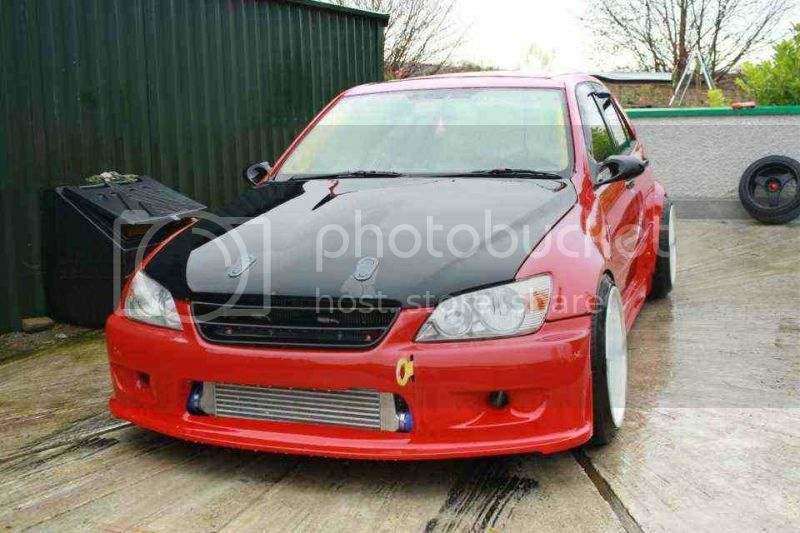 and the front bumper on the tezza looks hideous so it will be two birds with one stone. my mate used to work on the friends reunited touring cars and he and his brother both compete in grasstrack in mini`s hence the connection with ian curley. i hope you intend on fitting better wheels and spoiler than that red heap youve posted! if its a proper drift spoiler i would like...but not that one!